Lock in a great price for hotel plaza centro – rated 8.6 by recent guests! 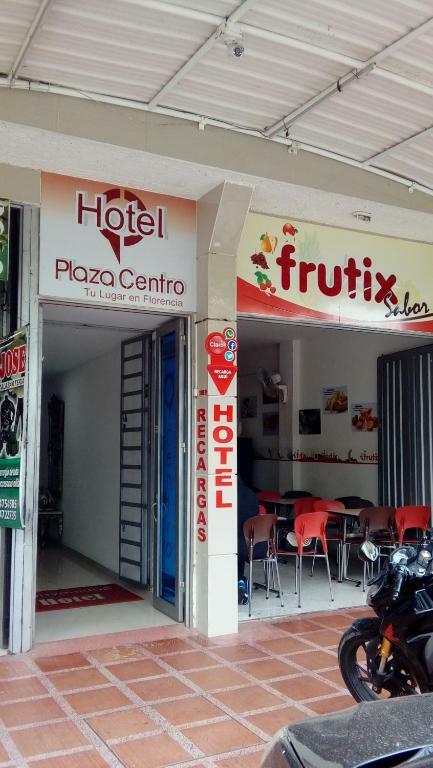 Located in Florencia, in a building dating from 2015, hotel plaza centro has a shared lounge and guestrooms with free WiFi. All rooms have a flat-screen TV with satellite channels and a private bathroom. The property provides a 24-hour front desk. At the hotel, rooms are equipped with a closet. Gustavo Artunduaga Paredes Airport is 5 miles away. This property is also rated for the best value in Florencia! Guests are getting more for their money when compared to other properties in this city. When would you like to stay at hotel plaza centro? This double room has air conditioning, cable TV and tile/marble floor. This twin room features a tile/marble floor, air conditioning and flat-screen TV. House Rules hotel plaza centro takes special requests – add in the next step! Please inform hotel plaza centro of your expected arrival time in advance. You can use the Special Requests box when booking, or contact the property directly using the contact details in your confirmation.